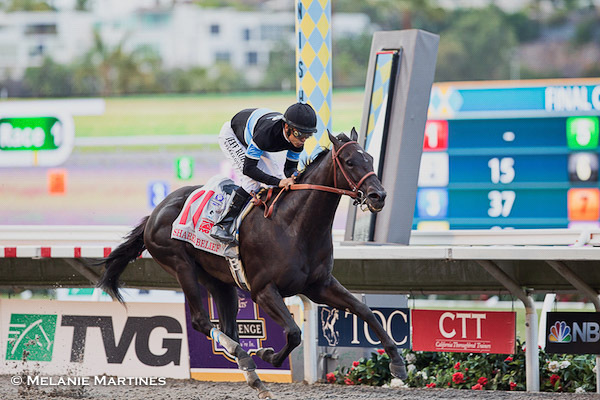 The sport of Thoroughbred Horse Racing is filled with many emotions that can take us on extraordinary adventures with unforgettable memories, to moments of devastating sadness. 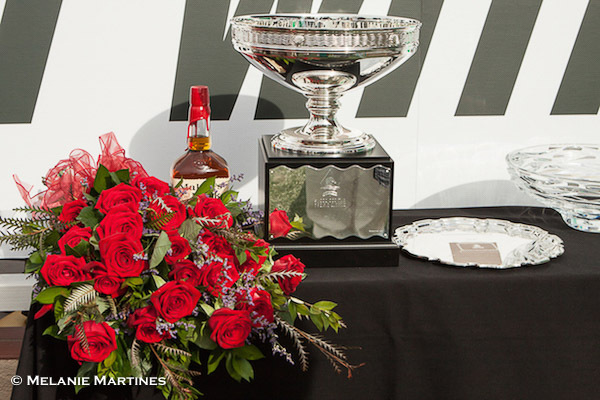 A few days ago the racing community experienced a great loss. I was so sad when I read the news. 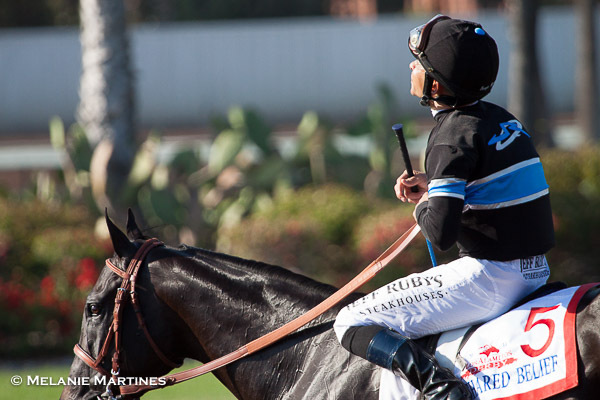 Owner Jim Rome had sent a message out on Twitter/Facebook about Shared Belief. Along with the racing world, I was in shock. Devastated by the news that our champion died after doctors were unable to save him after performing emergency Colic surgery. We've lost a lot of great horses through the years all succumbing to this dreadful condition, but it's never easy to accept. It is always heartbreaking for those close to these wonderful equine athletes who graced their lives with hope, joy, and admiration. 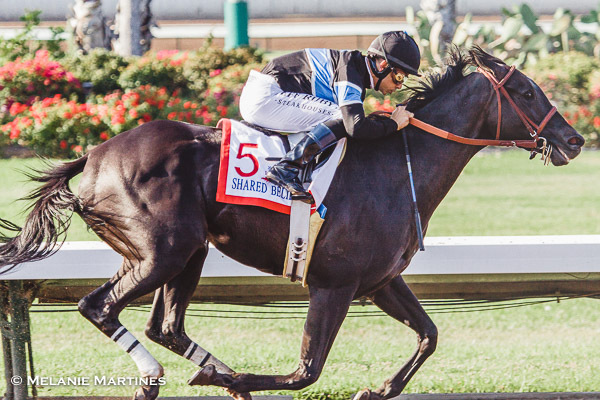 I've been shooting horse racing for several years now and have taken thousands upon thousands of photos, and there was just something special about Shared Belief that attracted me. I watched him blossom into a true champion. 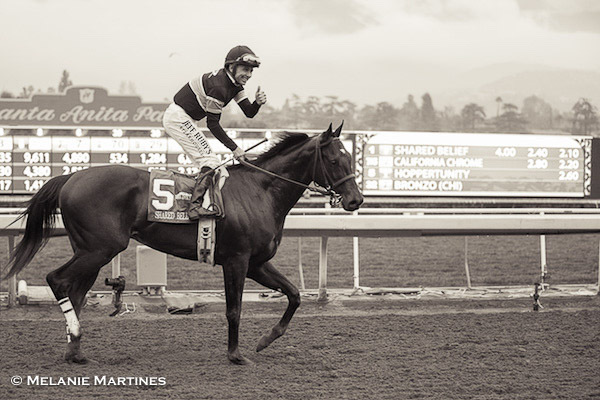 I feel fortunate to have documented six of his thrilling victories. 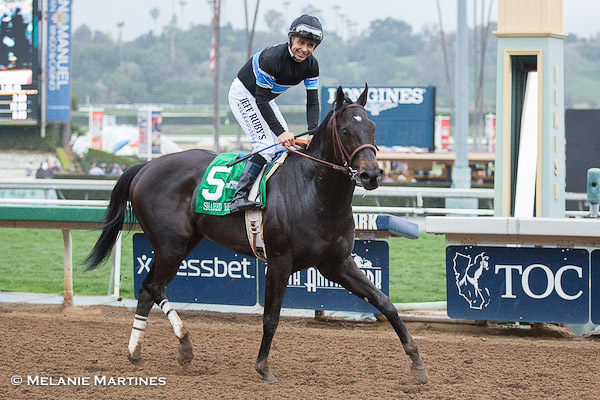 He was a special horse to everyone that laid eyes on him. By stature, there wasn't anything special about him. 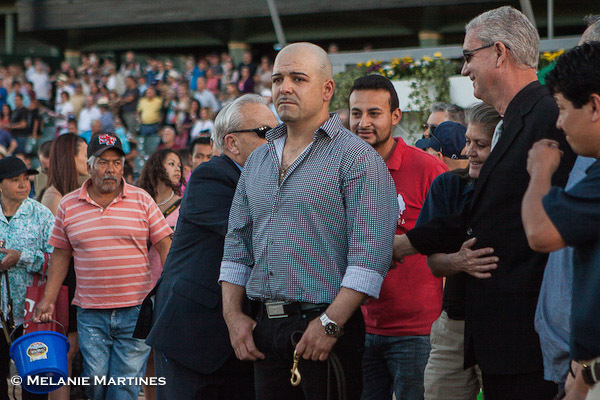 In fact, it's hard to imagine by the way he ran that he was a small horse. 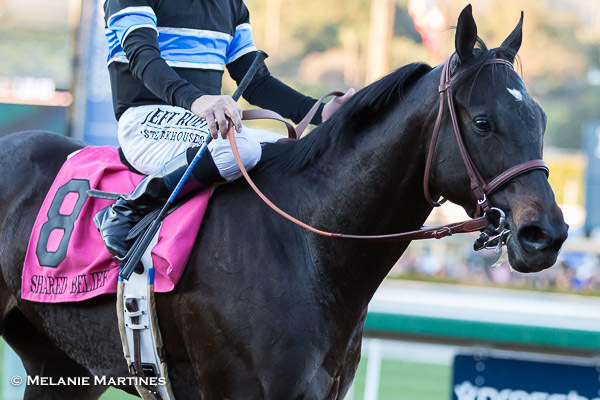 It was the first thing people would comment on when they saw him in person for the first time; but when he ran his race --- he was larger than life! He was a fierce competitor that brought his game to every race. He was a talented horse that was fearless and full of heart. 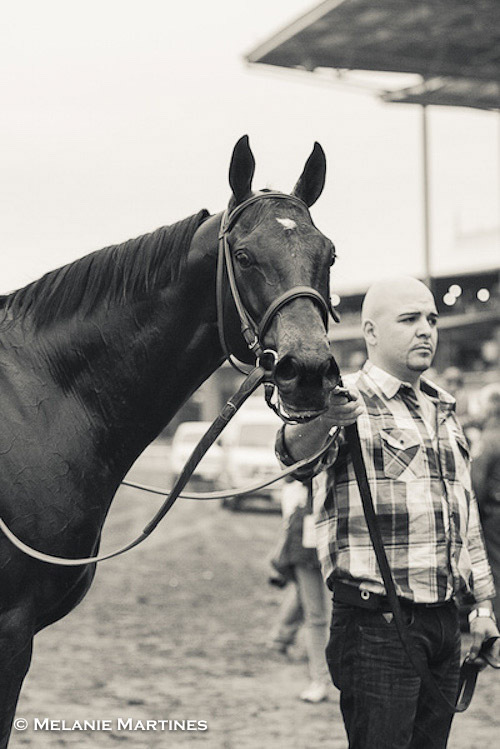 With so much promise and hope for his return back to the track, the racing world is now in disbelief that he is no longer with us. 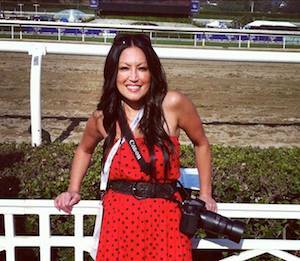 I am thankful for the opportunity to have captured so many wonderful memories. 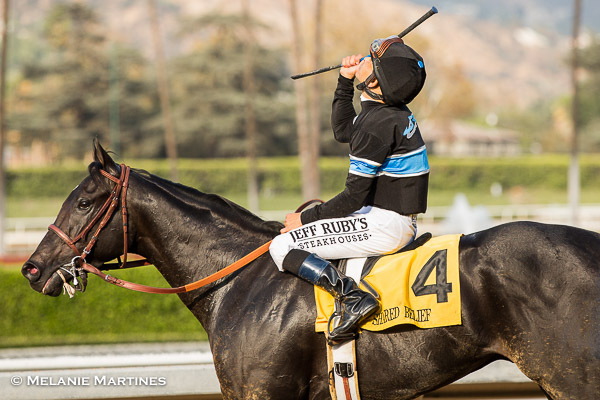 Moments that we can look back on and be thankful for the thrilling journey of Shared Belief. With a heavy heart, let's revisit these special moments. 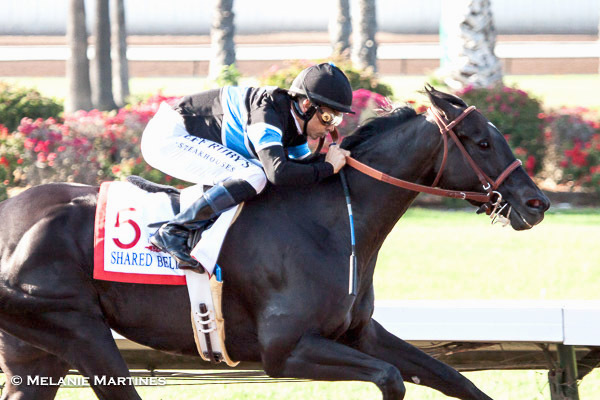 My journey behind the lens with Shared Belief started on July 5, 2014. 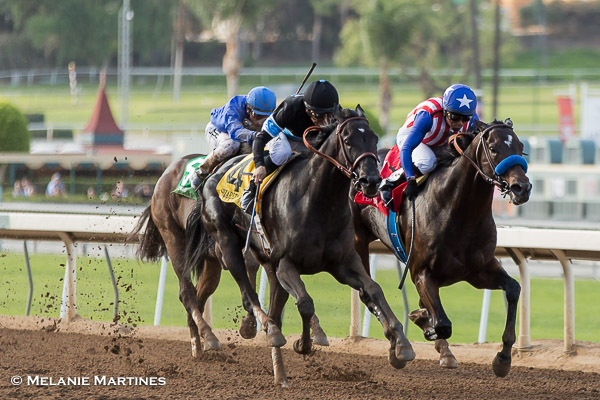 Here the dynamic duo runs down horses in an impressive fashion to take the G-2 Los Alamitos Derby. 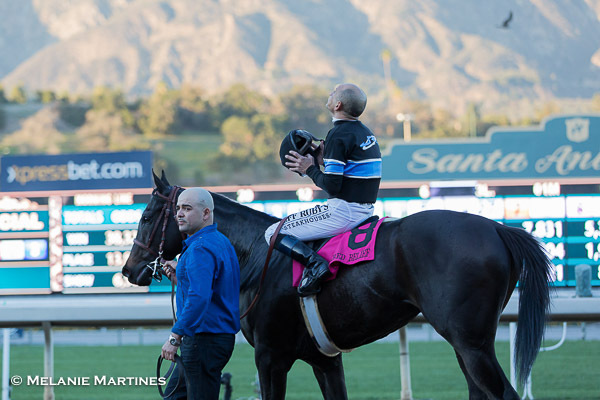 A humble moment for Mike Smith. 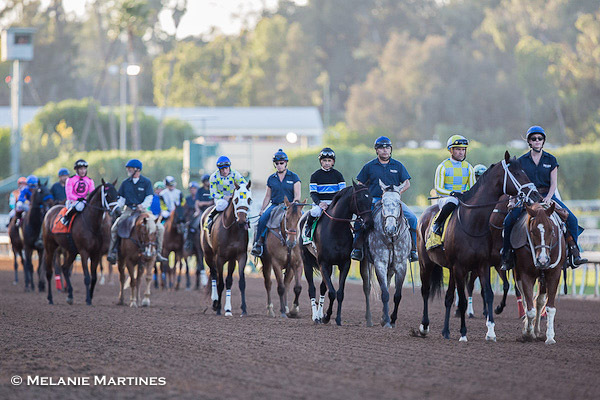 August 24, 2014, was the 24th Running of the G-1 TVG Pacific Classic. 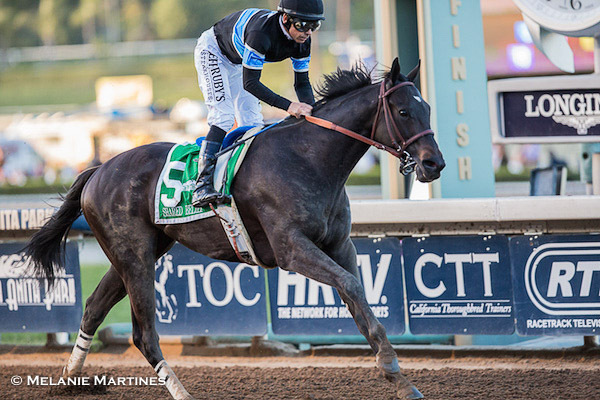 This was the highlight of the weekend with the winner gaining a prestigious spot in the Breeders' Cup Classic. 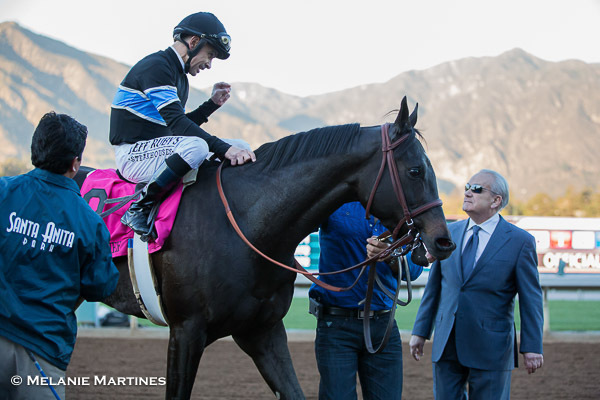 Anticipation was definitely in the air for the connections of Shared Belief! 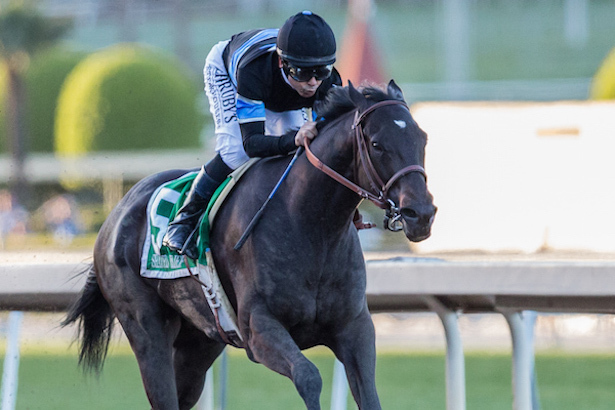 From a competitive field of 10, including 2013 winner Game On Dude, the three-year-old Shared Belief proved he was the 'real deal'. At this point, he was sporting a perfect record in five starts. 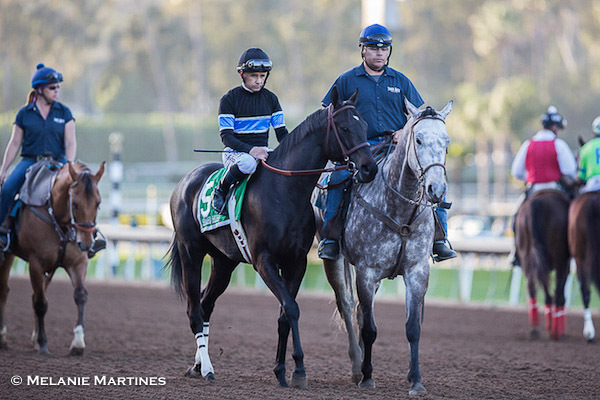 Here the champ is heading for home with Toast of New York and Game On Dude behind him. 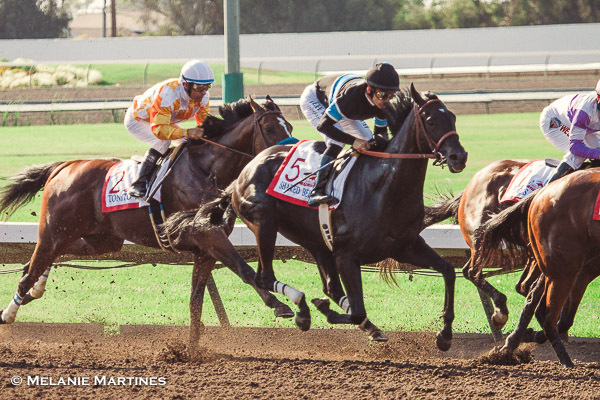 He eventually leaves them in the dust and crosses the wire in a commanding victory. 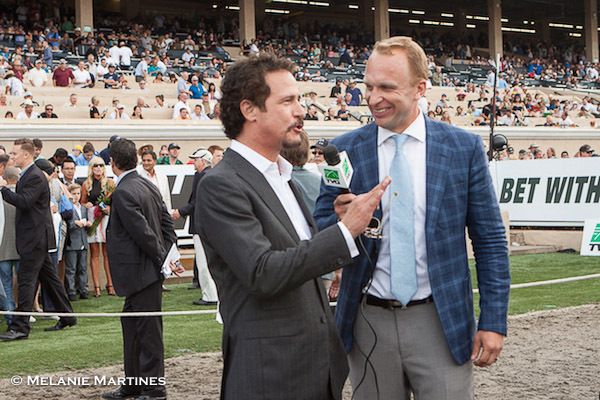 Co-Owner Jim Rome talks with TVG's Simon Bray on Shared Belief's win. 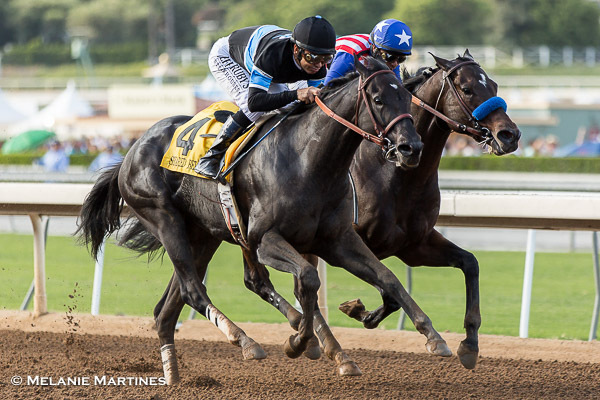 On September 27, 2014, a crowd of 17,073 lined the rails in hopes to see top 3-year-old Shared Belief prove he was best in the country in the G-1 Awesome Again Stakes. 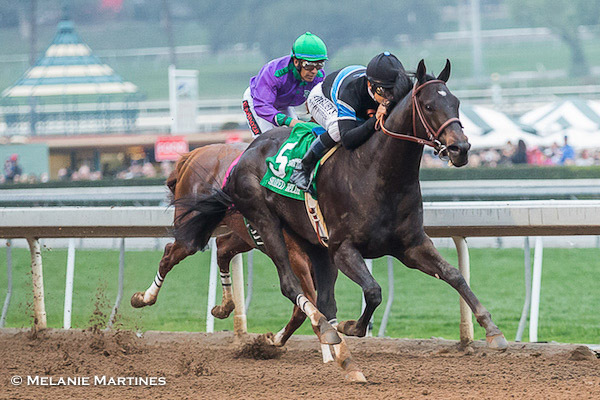 Here he rallies gamely with Fed Biz going nose-to-nose down the stretch under a strong urge by Mike Smith. 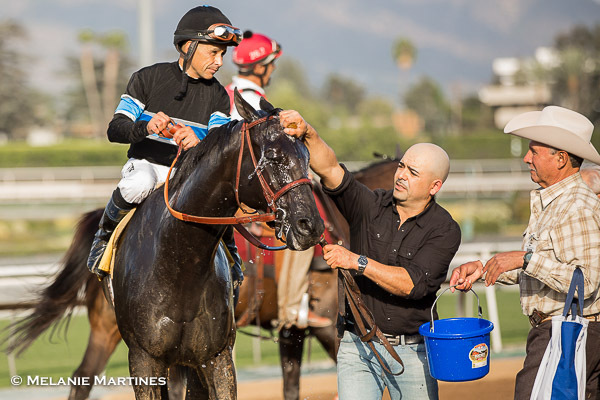 The Duo did not let up and eventually won by a neck grabbing the $300,000 Awesome Again Stakes and sending a buzz across the country on this talented gelding's performance. 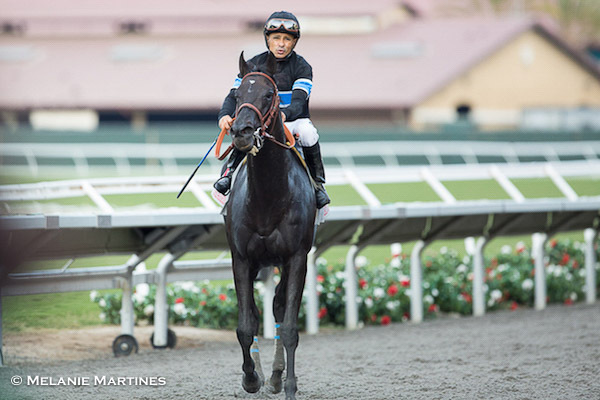 A moment to be thankful, as Shared Belief looks directly at me. 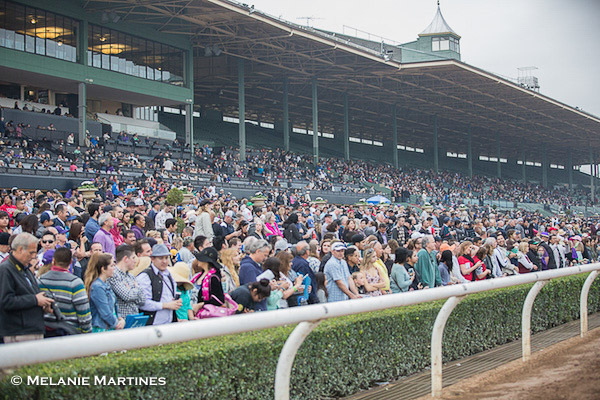 40,810 holiday-loving race fans came out to celebrate Opening Day at Santa Anita Park on December 26, 2014. 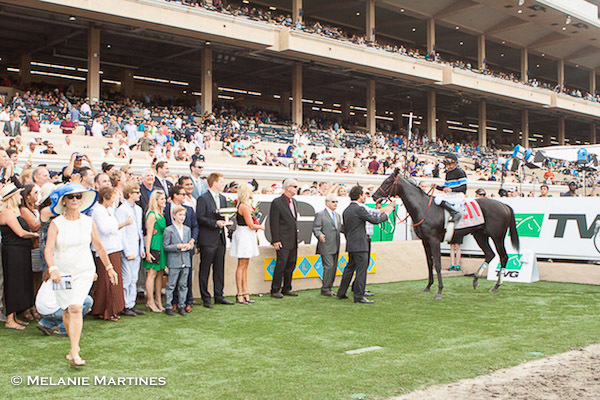 The 63rd Running of the G-1 Malibu Stakes was the highlight of the afternoon. 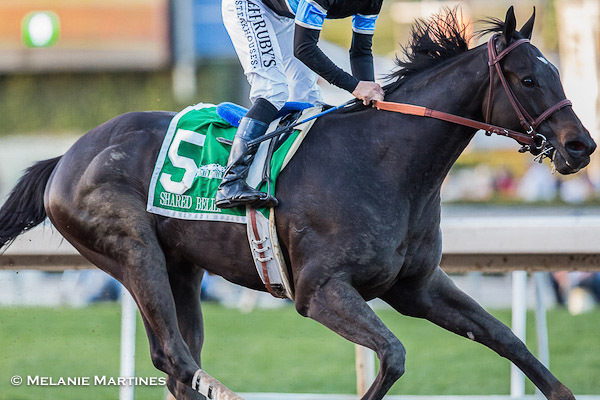 Shared Belief was in the "hot seat" to solidify his spot as the top 3-year-old in the country. 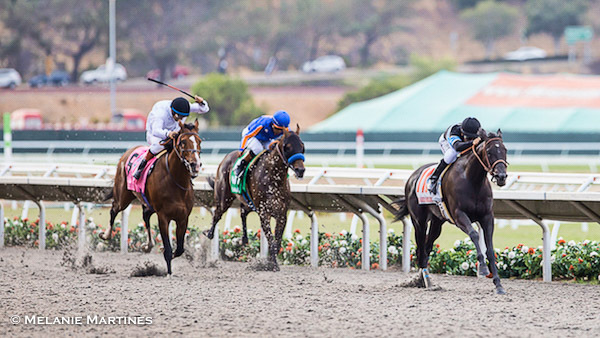 Guts and all heart as Shared Belief, 72-1 long shot Conquest Two Step (center), and Chitu rally to the wire. 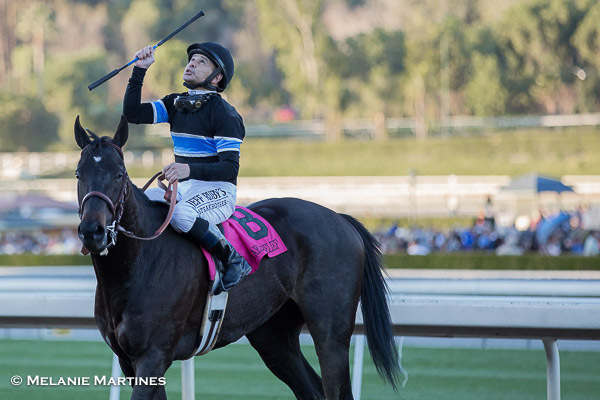 All heart, Shared Belief is victorious by a neck over 72-1 long-shot Conquest Two Step. 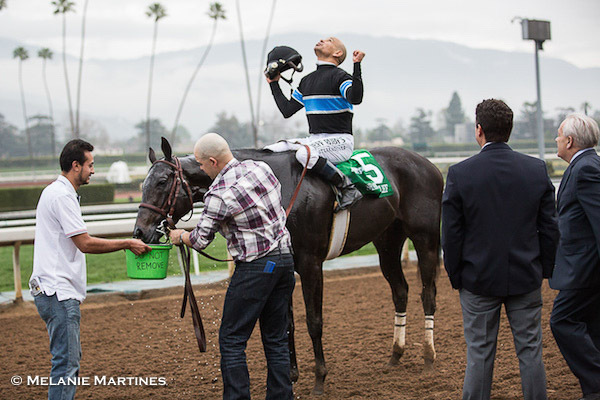 Jockey Mike Smith tells Trainer Jerry Hollendorfer just how close the race was. 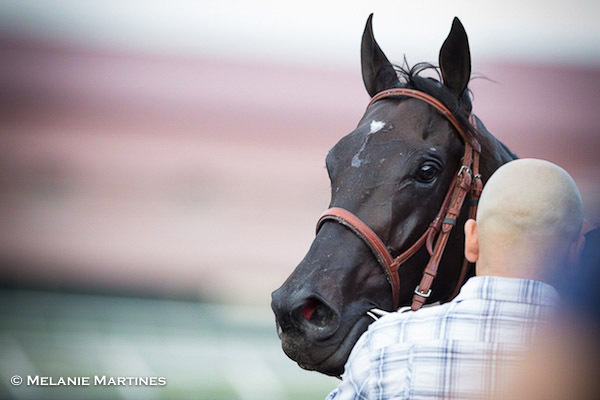 Connections watching the champ cool down. 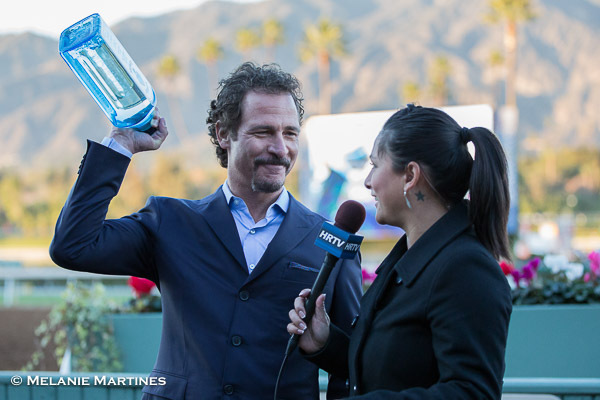 A very happy Jim Rome. 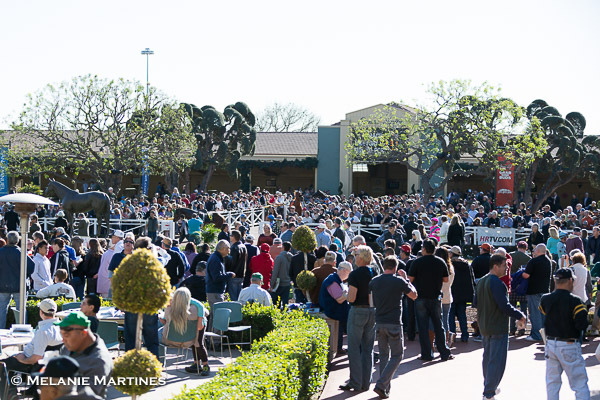 It was an overcast day on February 7, 2015; with hopes that the weather would turn gray skies blue, 21,522 racing fans came out ready for an action-packed afternoon. 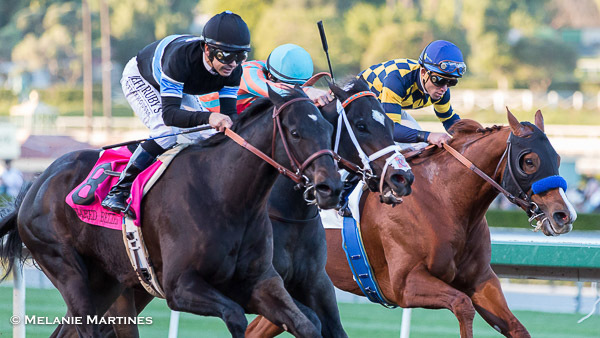 This was the much anticipated Showdown with Shared Belief and California Chrome, in the 77th Running of the G-2 San Antonio Handicap. 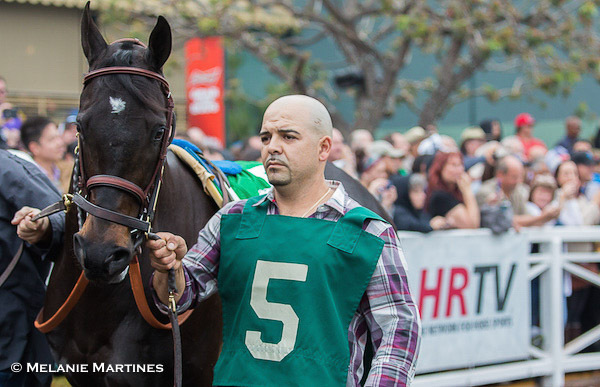 Here is the champ in the paddock prior to race. 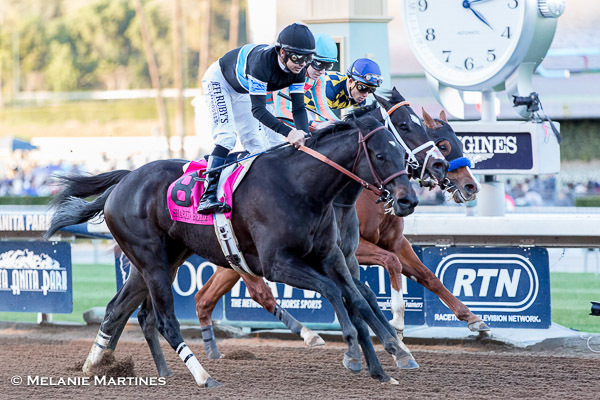 Shared Belief surges past California Chrome in deep stretch under a hand ride, on his way to a convincing 1 1/2 length victory. 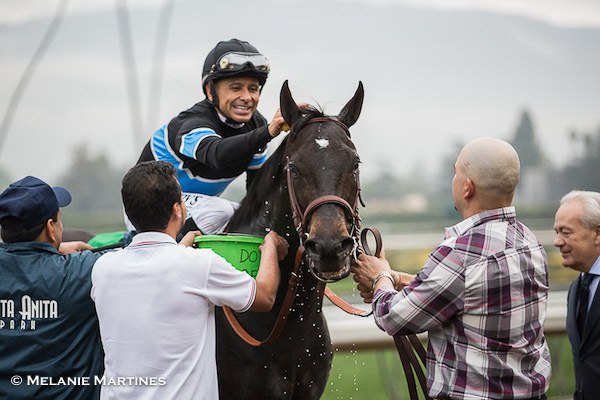 Jockey Mike Smith, "I would say this is the best he's ever run, but I would also say this is the best he's ever looked." 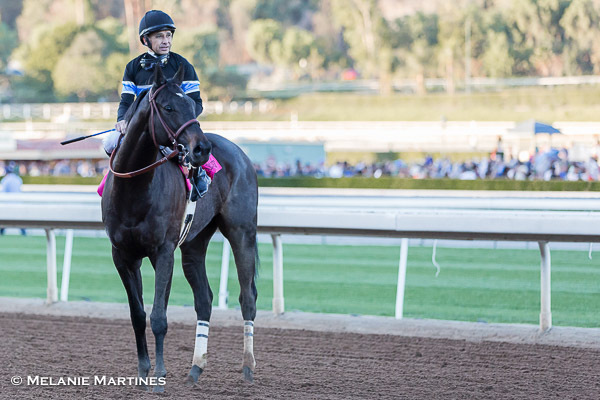 On March 7, 2015, here was the field for the G-1 Santa Anita Handicap. 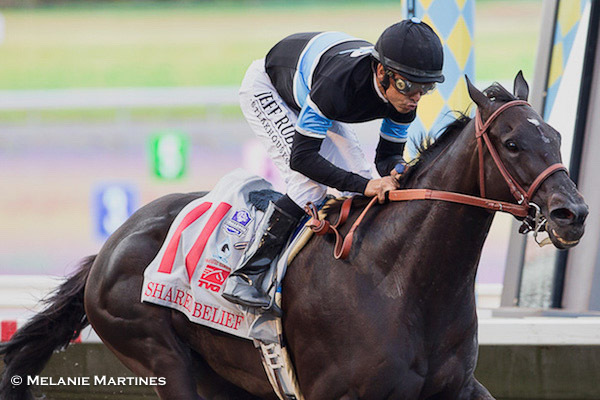 As expected, Shared Belief was sent off as the heavy favorite by the betting public. What can I say? He just looked stunning! 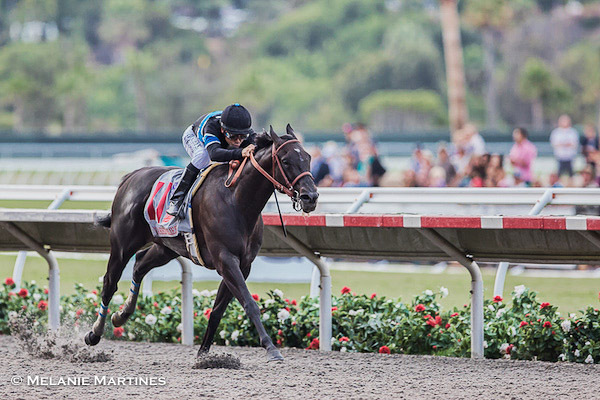 Shared Belief's record was now 10-for-11, clearly the mark of a great horse. 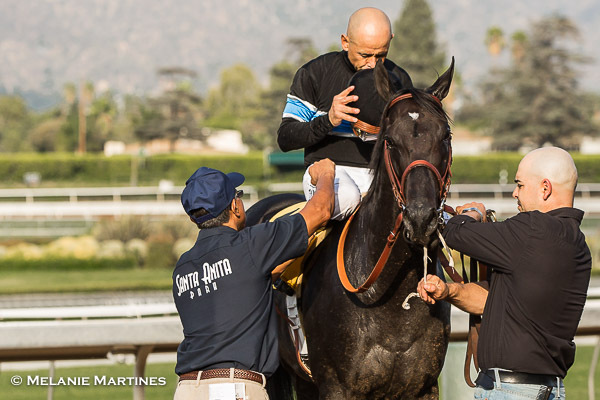 As excitement surrounds Shared Belief's Groom Armando Rodriguez, he is full of emotion after the Santa Anita Handicap. 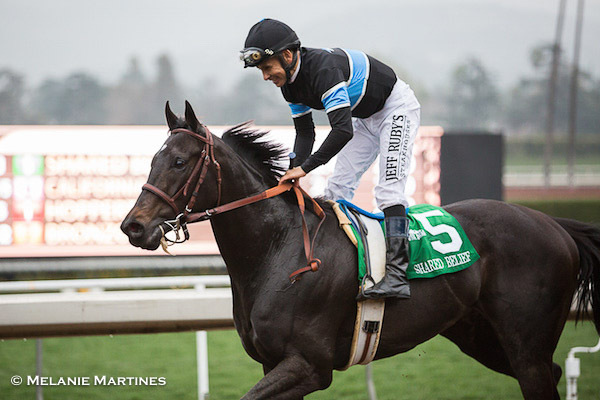 "The little horse that feared nobody and could do anything, and he was a champion in every sense of the word. 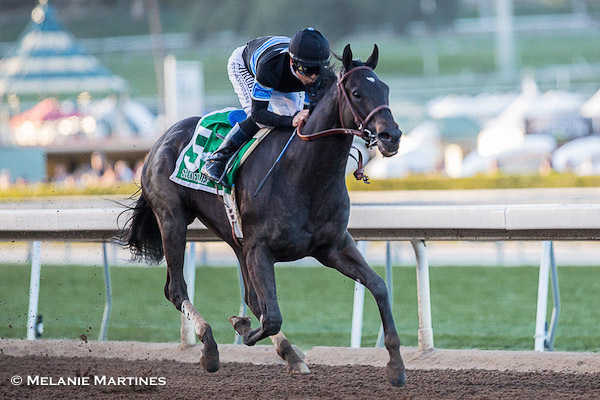 A super horse from day one. While he lived far too short of a life, he provided us with all the thrills and inspiration of a lifetime. 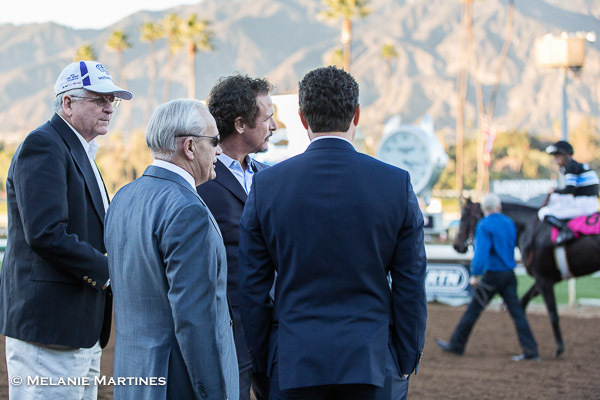 He should go down as one of the all-time greatest in my mind, and yet he was on track to accomplish so much more".